Note: I have not posted news articles for many months, but things really seem to be shifting in Catalonia, and as much as time permits, I will do my best to translate the news here for English speakers. More than 100 towns have already signed up. The "Association of Municipalities for Independence" [Associació de Municipis per la Independència], spearheaded by the mayor of Vic, the Christian-Democrat Josep Maria Vila d'Abadal, will hold its constitutional assembly on December 14, in Vic, the capital of Osona. So far, 116 municipalities have joined this initiative that seeks to bring together that greatest number of Catalan towns in favor of independence and to create the foundation of an upcoming official referendum on sovereignty, from the city government. On December 14, an executive board will be proposed for the association, as well as statutes that will govern it, the content of which will be ratified in a second assembly that will take place two or three months later. In addition, it foresees the possibility of bringing the proposal to the city government of Barcelona, who rejected entering into the association a few weeks ago, as well as to the Generalitat. Among the municipalities that have already joined are several county seats, including Vic, Manresa, Olot, Berga, Ripoll and Banyoles. In addition to Vic, the first towns to join were Arenys de Munt, the first town to celebrate a referendum on independence, and Port de la Selva, who was the first to declare itself "morally excluded from the Constitution". Important towns like Girona have also expressed a wish to join the movement. 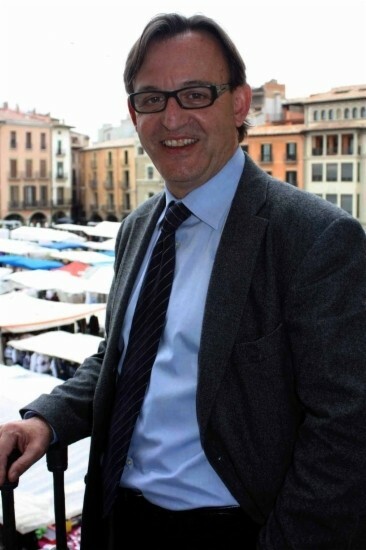 Vila d'Abadal and the leader of UDC, Josep Antoni Duran, have always disagreed on the independentist question, and the mayor of Vic even acused Duran of exaggerating his rejection of independence "because of his friends in Madrid", as well as not relying on those people who don't share his ideology.